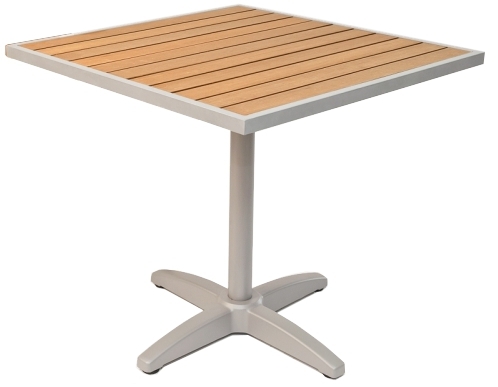 This plastic resin table features a synthetic teak top, with silver frame & edge. The resin teak presents a modern alternative to classic wood teak. It will last much longer as well. Synthetic teak tables can withstand direct sunlight for years and not fade.